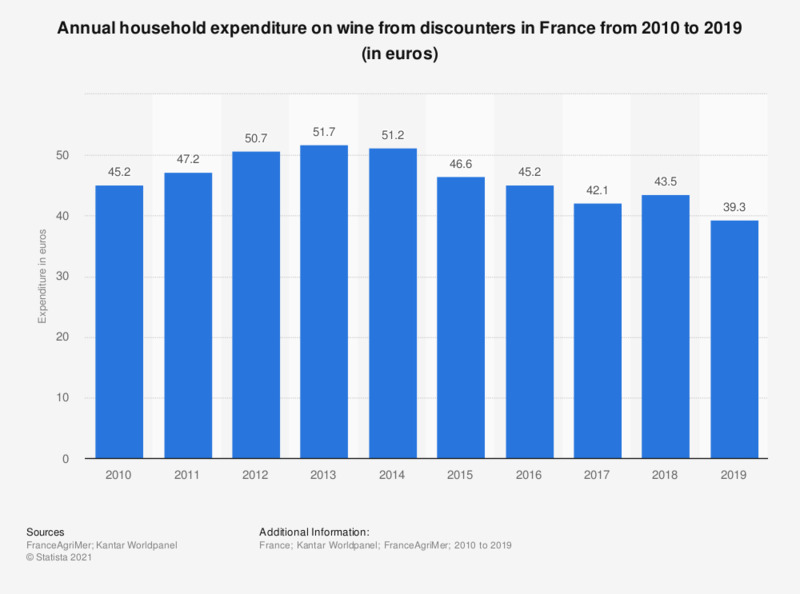 This statistic shows the annual expenditure on wine from discounters per household in France from 2010 to 2016, in euros. The figures show that the annual expenditure on wine from discounters rose over the years, from 45.2 euros in 2010 to 51.70 euros in 2013, but has since declined to 45.2 euros by 2016. What do you think about thrift stores?